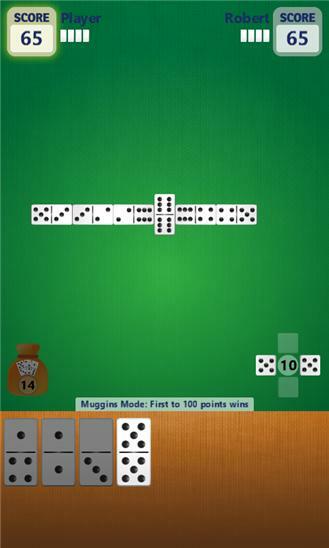 Play the BEST dominoes game for Windows Phone today! Enjoy the simple pleasures of this classic game on your phone. Play 3 classic game modes (Muggins, Block, and Draw) against a clever computer opponent. Custom themes and backgrounds round out this spectacular game. 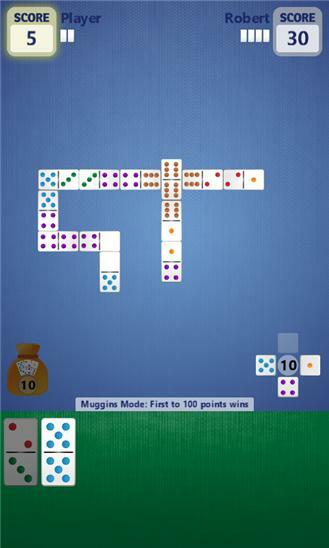 Features: • 100% FREE • Muggins, Block, and Draw modes • Up to 4 players • Smart computer AIs • Easy score-keeping and statistics • 5 different domino styles and 3 game themes If you like Solitaire, Spider, FreeCell, Dominos, Hearts, Spades, Box Cars, Roulette, Craps, Sudoku, or Pizza, you will love this game!